The CyberPowerPC Fangbook III HFX6-400 is laptop PC comes with the processing power of 4th Generation Intel Core i7-4710MQ high-end quad-core processor that features 6 MB level 3 cache and runs at the base clock speed of 2.5 GHz processor speed with Turbo Boost up to 3.5 GHz. It has a dedicated graphics controller called NVIDIA GeForce GTX 860M graphics that features 4 GB GDDR5 video memory and capable of rendering high definition movies and playing latest games with ease. Other laptops with this processor include CyberPowerPC Fangbook EVO HFX7-1500; and HP ENVY TouchSmart 17-j140us. 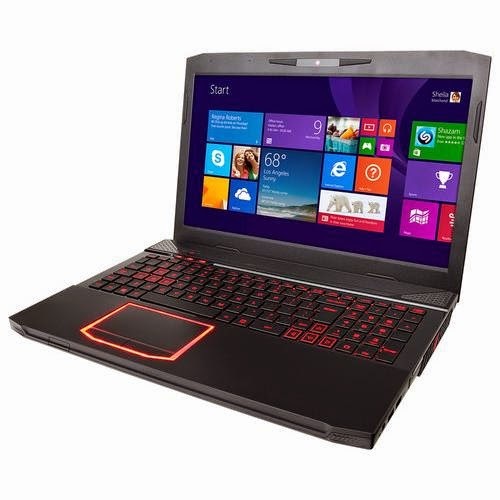 The CyberPowerPC Fangbook III HFX6-400 gaming laptop comes with 16 GB DDR3 SDRAM. This RAM or memory is an important factor with the multitasking ability of the device. It comes packed also with 1 TB Serial ATA III hard drive along with a 64 GB solid state drive, which would be sufficient for storing your digital files. Some other features of this laptop includes DVD±RW/CD-RW drive; high-definition webcam; media reader that supports SD, SDHC and SDXC formats; Realtek ALC269Q audio technology; and 6 - cell lithium - ion battery which will give you several hours of working away from the main source of electricity. The CyberPowerPC Fangbook III HFX6-400 gaming laptop is also equipped with 15.6 " LED-backlit high-definition display with 1080p resolution and an antiglare treatment. The resolution in this device is just ok compared to entry level laptops with lower resolution. This CyberPowerPC Fangbook III HFX6-400 laptop PC comes with several connectivity options such as built – in high-speed wireless LAN; 2 high-speed USB 2.0 ports; Bluetooth interface; and HDMI output port. The CyberPowerPC Fangbook III HFX6-400 laptop PC is powered by Microsoft Windows 8.1 operating system preinstalled. It measures about 1.24 inches x 14.96 inches x 10.32 inches and weighs about 5 pounds. You may get this laptop PC at the price of $ 1199.00.